Look at those, sweet, pixelated logos. Teams were chosen for the BBSIM14 roster based on their 2013 record (sorry Cubbies and Marlins, no soup for you). Previous releases also contained data for the remaining MLB teams. This year, to maximize available batters, this data is omitted. However, logo data for all 30 clubs exists in the rom, so any super-enterprising Miami fan could theoretically add Christian Yelich and Co. into the game if they really wanted. Projected rosters, stats and PITCHf/x data from rotochamp and fangraphs.com; current as of 2014-04-23. 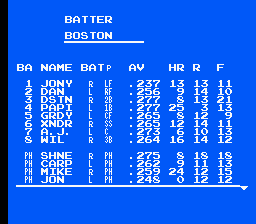 An improvement from BBSIM2013, this year's release uses Sabermetrics to better depict players' abilities. For example, instead of .SLG representing a player's raw power, this release uses ISO. wOBA is used to dictate how big of a "sweet spot" each batter gets. And for the pitchers, pitch speeds, as well as lateral and horizontal movement are pulled directly from PITCHf/x data. Like Baseball Simulator 2013, all teams have Ultra points for special abilities. Only the most clutch players, though, get special hits/pitches. Papi's stat line looks wicked pissah. The archive linked below includes a number of goodies. First and foremost, you get the rom, son. 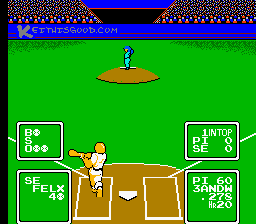 "Baseball Simulator 2014.nes" is tested and compatible with any number of NES emulators. 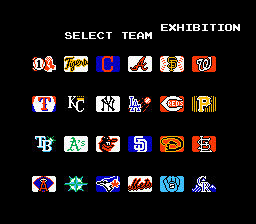 Also in the archive is "Baseball Simulator 2014.sav" Copy this .sav file into the sav folder of your emulator to pre-load 6 more MLB teams via the game's Edit function. Also in the archive is the complete stat sheet for every team in the game and the Hacking Bible, should anyone want to make personal tweaks. After you've crushed your competition, tweet out screenshots and scores using the hashtag #BBSIM14. And although the game has been tested, some things slip through the cracks. 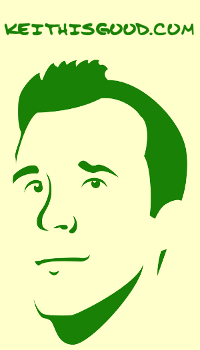 Tweet @keithisgood with any bugfix requests or statistical oddities. PLAY BALL! I tried the save file and had no luck. I have the save file from the 2013 version and it works just fine. I am using fceultragx on wii. Thanks for the note. I'll update the .sav file and update the archive. No problem. Big Brewers fan so wanna play as the Crew. Appreciate all the hard work you put into these. They are awesome! Glad you like it. Sometimes it's just a simple copy/paste error so feel free to let me know if there's other glitches. You're doing nothing wrong. This one of the unfortunate limitations of how the game stores its team and edit data. Restoring the Yankees and Dodgers for season mode would require you to delete the Blue Jays and Rockies. From the main menu go to Edit -> Erase and choose Toronto and Colorado. This will restore NYY and LAD to season mode. It's kind of a bummer, and something I hope to eventually fix by expanding the game to include all 30 teams without needing the "Edit" function. .Sav file works great now! Thanks again! Did you fix the painfully slow simulation times? This is the reason I didn't play the game more often and why I don't still play it now. I don't know why no hacker has fixed this yet. Is it not possible? ^^^ would also like to know if the slow simulation can be fixed maybe for 2016? I've put out feelers for ASM, Coding people to see if we can't fix the painful Season Sim mode. I agree, that a fast sim similar to Tecmo Super Bowl would make the game much more playable. I can't say for certain when it will get done, only that I'm actively trying to fix it, as well as expanding the game to include all MLB clubs. Thanks for giving the game a spin! I most certainly will stop by your blog routinely for most most current write-up. Sports Tipsters is an independent proofing and verification service monitoring sports betting advisory services or tipsters who offer free or subscription betting. Best Playing Tips Are you one of those golfers who absolutely pures it on the practice range with every club in the bag, but eventually goes .. This had been a built up custom for a considerable length of time, yet was currently an official run the show. The spread is a term best site in sports betting which describes a condition for your selection on where to bet.